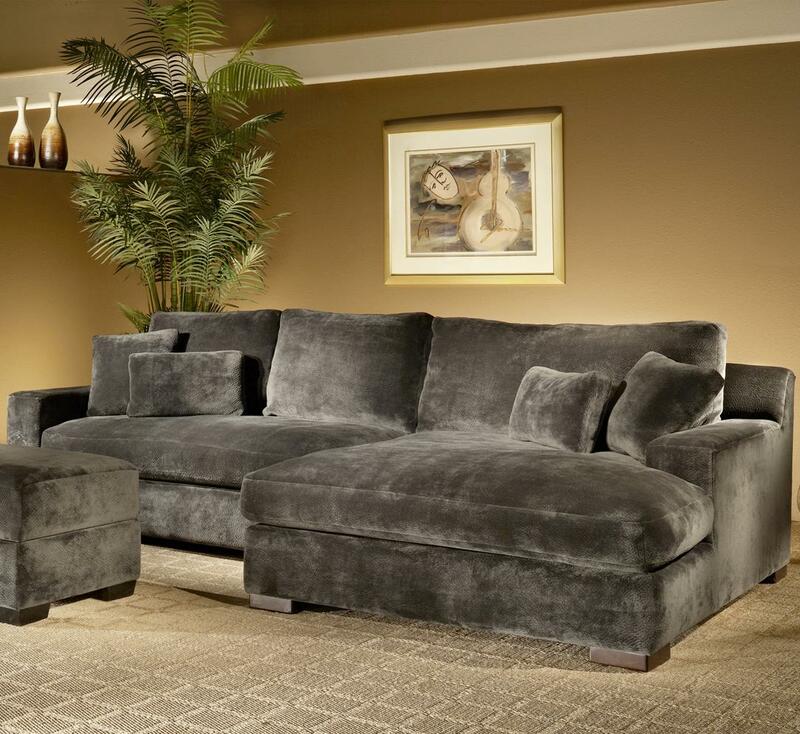 You'll be set with this two-piece sectional in your home decor. The piece consists of smokey grey polyester, which is wrapped around the finest woods, wire spring and wrapped foam. In additional, the heavy padded seat cushions, back pillows and accent pillows are sure to provide absolute comfort. Make your home complete with help from this comfy and casual sectional. The Billie Jean 2-Piece Sectional w/ Chaise by Fairmont Designs at Michael's Furniture Warehouse in the San Fernando & Los Angeles area. Product availability may vary. Contact us for the most current availability on this product. D3673-05R RAF 1 Arm double Chaise 1 70" 61" 40"
D3673-03L LAF 1 Arm Sofa 1 72" 43" 40"
Create an attractive contemporary setting in your very own living room with help from the Billie Jean collection. The pieces consist of smokey grey polyester, which is wrapped around the finest woods, wire spring and wrapped foam. In additional, the heavy padded seat cushions, back pillows and accent pillows are sure to provide absolute comfort. Plus, the ottoman has a lift top, which is wonderful for keeping blankets, pillows and quilts. There will be so much to like with the Billie Jean collection in your home. The Billie Jean collection is a great option if you are looking for Contemporary furniture in the San Fernando & Los Angeles area. Browse other items in the Billie Jean collection from Michael's Furniture Warehouse in the San Fernando & Los Angeles area.